So, island living is your dream but actually living directly on the water isn't necessary? Then don't bother with the expense and upkeep. The homes for sale on Marco Island include more than just waterfront properties. The island offers what we call "Inland Homes" and they are spectacular. When compared to their waterfront neighbors, the value for the dollar is extraordinary. Plus, some of the most wonderful neighborhoods on Marco Island just happen to be inland. If you love tropical foliage, eastern Marco Island is beautiful and many homes are not on the water. If you don't need to have your boat in your backyard, you can still get all the atmosphere Marco Island has to offer without the additional $100,000 to $1,000,000+ that you'll spend on a waterfront home. 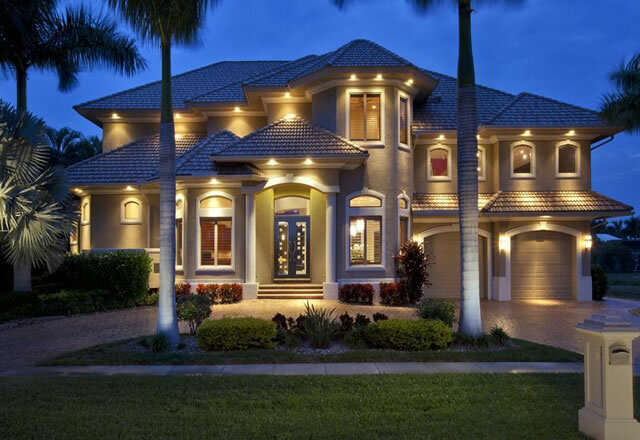 From affordable bungalows to exquisite architectural masterpieces, Marco Island inland homes offer something for every budget and taste. Regardless of where you find your home on Marco Island, you'll always be just a few minutes from the water by car or by bike for that matter. In fact, if the beach is what you live for but you aren't a condo person, a Marco Island inland home may be the perfect solution for you. Just ride your bike or drive over to Resident's Beach, your private beach, or Tigertail Beach and soak up the sunshine Marco-style. Feel free contacting us for more information. We're here to help.